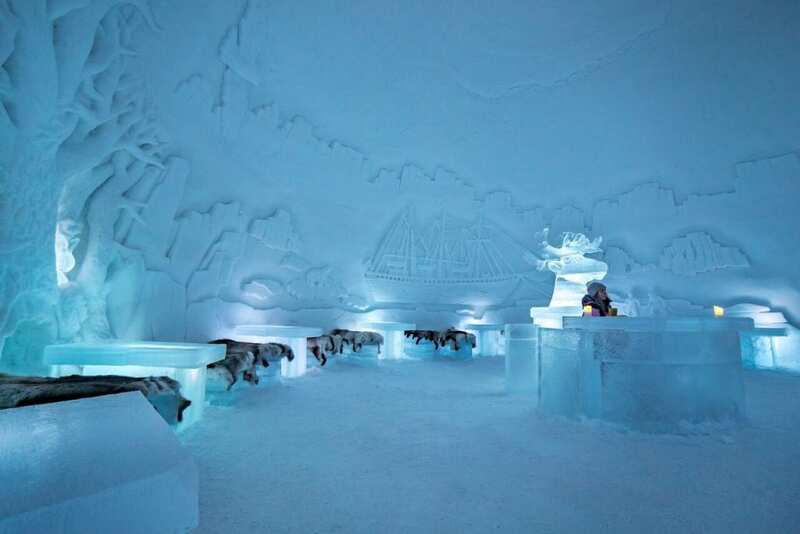 Stay in one of Tromsø’s only ice suites at the new Ice Domes, with an on-call guide throughout your stay. 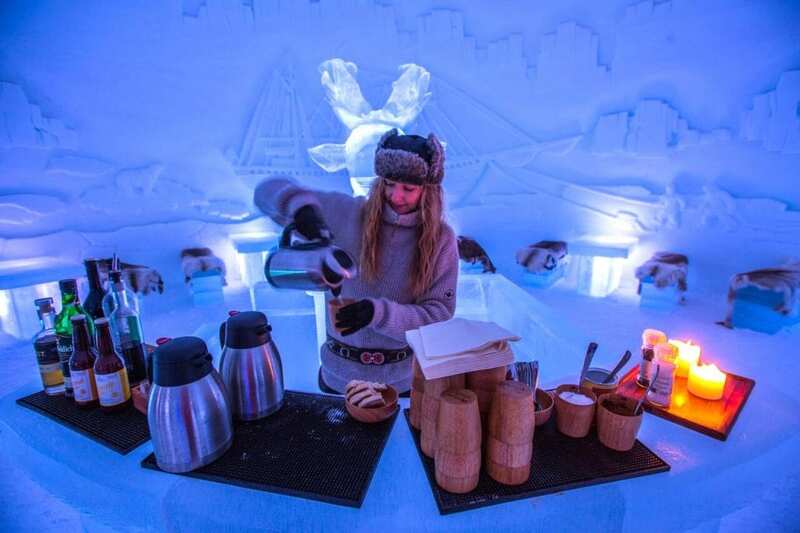 Admire the masterpiece sculptures while enjoying a drink at the Ice Bar or watching a film at the unique Ice Cinema. Look out for Northern Lights in the starry night sky while snowshoeing in the wilderness. 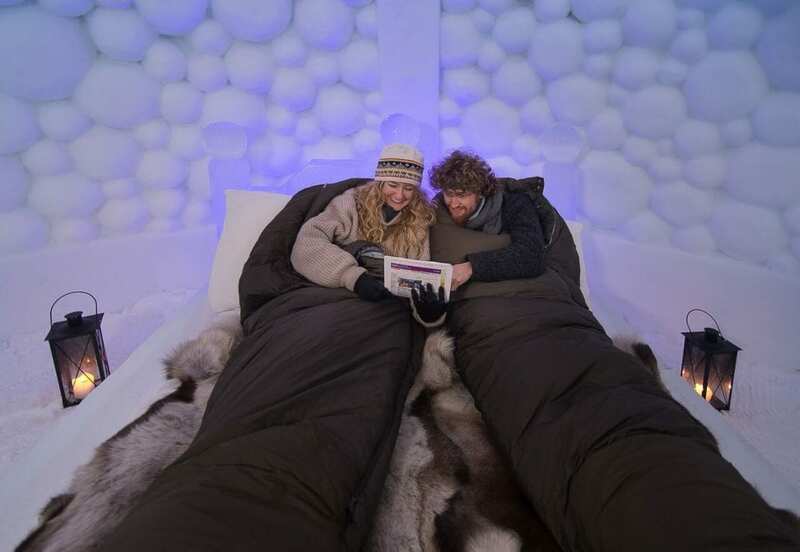 The ice suites are designed with a double bed surrounded by an ice frame. Included with each bed is a comfortable mattress covered by reindeer skins and expedition sleping bags to keep you cosy. In addition, you will be provided with appropriate warm clothing and gear if needed. Each of the ice rooms have Arctic themes ranging from indigenous Sami culture to Northern Lights. Because of the limited number of rooms, you will be sharing this Arctic winter wonderland with only a few other guests! Price is based on two people sharing a room, single supplements apply. 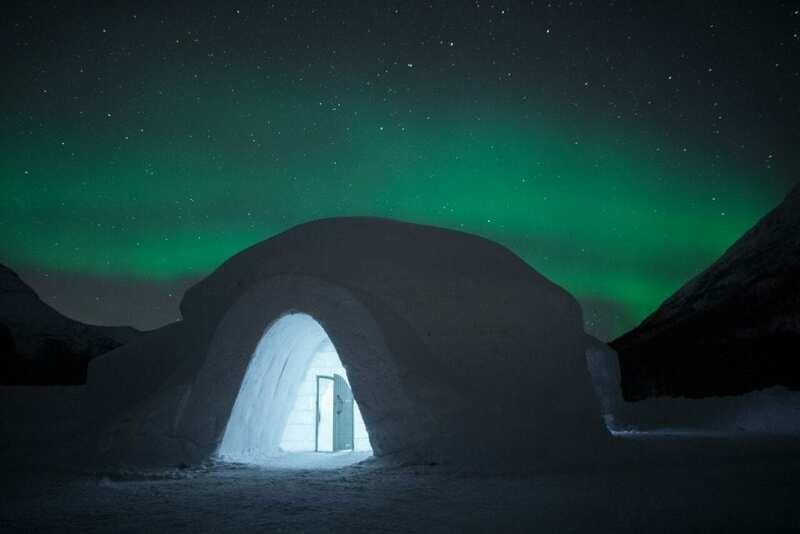 You can also customise an overnight stay with our Northern Lights & Ice Hotel trip. Contact us for more information. The Tromsø Ice Domes are a 75-minute scenic transfer from Tromsø in the Arctic wilderness of Målselv. The hotel suites are located inside the Ice Domes. It is a 400-metre walk from here to Camp Tamok, the wilderness centre for activities.